We love sharing ideas for high protein, low fat cheese recipes, and this is no exception. Today we’ve taken everyone’s favourite quiche recipe, the good old Quiche Lorraine, and shown how easily you can make a BIG difference to the nutritionals, with just a few tweaks to the ingredients. 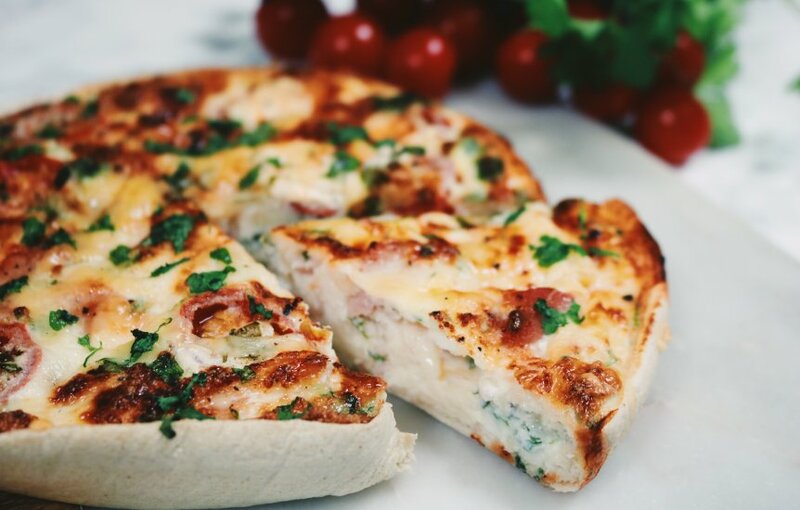 Our Low carb, Low Fat Quiche Lorraine recipe offers up 43% fewer calories, 73% less fat, 69% fewer carbs & a 100% increase in protein in comparison with Tesco’s Quiche Lorraine! The good news is that it’s super simple to get started too, our Eatlean Tasty Quiche Kit offers up the perfect base kit to create macro friendly quiche recipes with no compromise on taste. Just add a few fresh ingredients and you are good to go! Now how do we make such a difference to the nutritionals with a few simple swaps? Lo Dough – A low carb, fat free alternative to fresh pastry, our Lo-Dough bases offer up the perfect switch up option! Eatlean Tasty – With 60% less fat, 35% fewer calories & 30% more protein than a full fat cheddar, and zero compromise on taste it’s a no brainer! 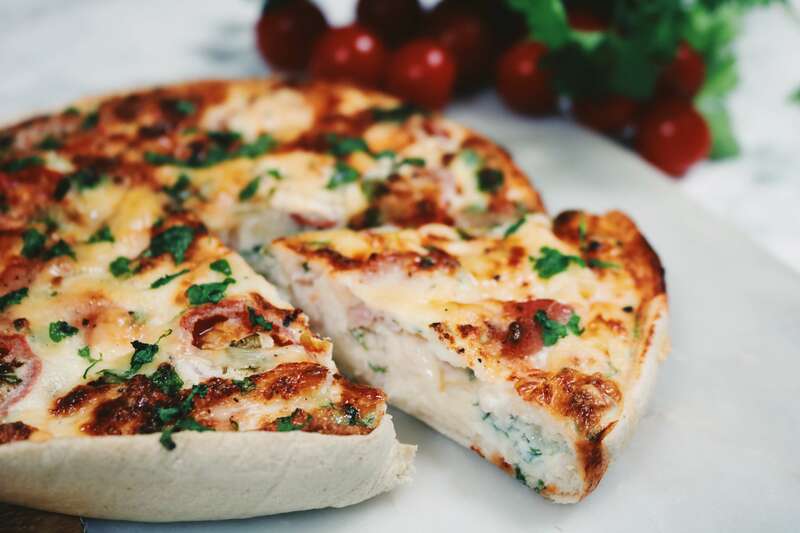 Eatlean Spreadable – With 40% fewer calories & 65% less fat than standard spreadable cheese, it adds a creamy, guilt-free indulgence to your quiche recipes. Two Chicks Egg Whites – With 0% fat and cholesterol content, 70% fewer calories and higher protein, lower carb content than whole eggs it’s a fridge essential…and we promise you won’t miss the yolk!